On a strategic level selection processes concerning product / market combinations are greatly influenced by yield-expectations. After assessment of the scenarios of the yield expectations, the financing opportunities have to be duly investigated. The final choice the company’s executives make will have to add value to the company. 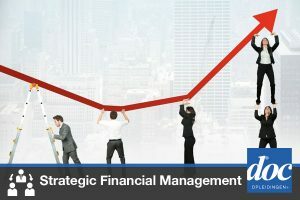 In this module you will learn how to address the above-mentioned complex issues and understand the dynamic process of managing a sound financial strategy. The module consists of 9 classes and is completed by an examination. The participant receives a certificate with a passing grade.